Elena Kuvichka, fundraising expert and Board Member of "Inva-Sodeystvie", organisation for the disabled (Sukhumi), shared her views on the competition between civil society organisations in social sphere and said why social activists should not be ashamed of making money by engaging in social entrepreneurship. More details can be found in the expert’s personal interview. - How reasonable is it to apply business planning approach in the social sphere? - Market research should be conducted in any case, even if you do not engage in business activities. It becomes more and more relevant in the countries of the former Soviet Union. There is already some competition between civil society organisation. In any case, a public organisation is created to provide certain "services", it has its "customers", or beneficiaries. Even if no commercial activity is conducted, it is necessary to study the social market, the needs of beneficiaries. - Why is a "market" approach easily applicable to CSO's effectiveness? - In any case, it is all about the customer: any civil society organisation aims to satisfy the needs of a certain target group, do something for a certain group of people. We can define what they require, what their needs are and how badly they need them. If a social enterprise is created by a civil society organisation, its services need to be competitive: people should be satisfied with their quality and their price. - Does a social enterprise need modern-day logistics, advertisement in social networks, a website that also provides delivery services, for example? - In the beginning we need to define our customers: who are they? How will our product get to the consumer? How will they find out about the product? Then you can think of the payment method or convenient delivery. If a person is far from you, they will not come to you to buy one "eco bag", let's put it this way. "Inva-Sodeystvie" Association (Sukhumi) is a public organisation for disabled people, which was created by a group of disabled veterans. In 1996 it was registered as a non-governmental charity organisation. I met a representative of the Association of Wheelchair Users here in Minsk: he makes websites, this is how he supports himself. Any organisation can order a service from such a person, it is not financially costly, you just need to have an idea and an understanding of how much it is needed. - How does your organisation engage in social entrepreneurship? - According to our legislation, we have a right to do so, and it is stated in our Charter that we can engage in commercial activities. We began intuitively: first our acquaintances from other civil society organisations came to us to print brochures, business cards, letterheads – here’s how we began to develop small-format printing. Then we launched a computer course: initially it was a project, but when it ended we still had people willing to work in it so we began to train ordinary people. We have developed a "commercial" component for people without disabilities: we opened a gym, which is now a "fitness center". So today we can say that these projects help us remain financially sustainable. - What do you mean by "social entrepreneurship"? 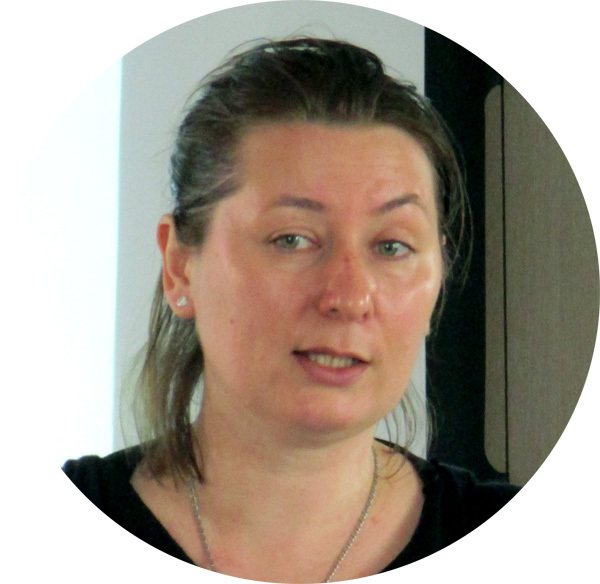 Elena Kuvichka – expert, coach, project manager, CSO leader. Born in Sukhumi. Graduated from East Ukrainian Volodymyr Dahl National University as a Teacher of Mathematics and Computer Science. She has been working as a coach in international organisations (UNDP, ICRC) since 1999. From 1999 to 2013 conducted courses and trainings on conflict management, human rights, CSO management, CSO development strategy, business planning, fundraising and project evaluation. Fluent in English. 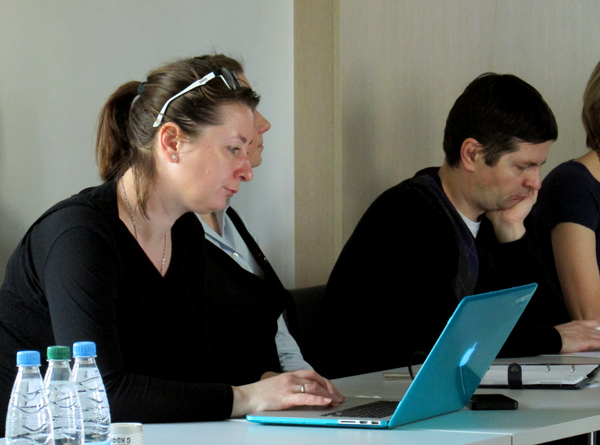 From 1999 to 2013 worked as project manager and coach in "Inva-Sodeystvie" organisation. Currently works as a business planning coach for beneficiaries of the International Committee of the Red Cross, project manager for "Asarkya" public TV station and is "Inva-Sodeystvie" board member. - A narrow understanding of "social entrepreneurship" as only dealing with disabled people reminds me of the old Soviet experience, when we had specialized companies with visually impaired people making lighting fixtures, assembled sockets, or when hearing impaired people worked at our paint factory. They got their salary but there was no social inclusion. This is not a "social enterprise" but rather providing employment to a certain group of population. Social entrepreneurship is an evolution, when a civil society organisation deals with social issues, there are cheap innovations able of solving social problems, and a manufacture of some kind. Civil society organisations in former Soviet countries tend to apply a "dependency approach": they receive grants, and after they run out of funds, immediately begin a frantic search for new donors. We need to expand this outlook. There are people who have a mentality that may help them do very well in business. It all boils down to the market of social services and survival: if you want to continue your work, be a sustainable CSO. If your idea is dear to your heart and you want to promote it, be ready to raise money in such a way, it's a question of motivation. 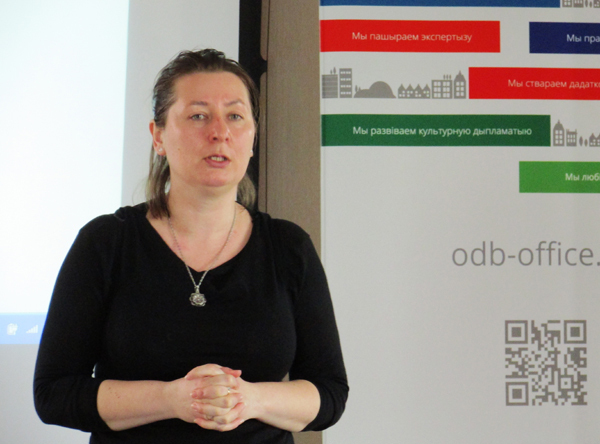 Elena Kuvichka was invited to Belarus by the Office for a Democratic Belarus (Brussels) within the framework of the "Clearing House" programme to take part in the seminar "Social Enterprises: Business Approach to Social Change and Sustainability of CSOs". The event was focused on uncovering additional mechanisms to ensure financial sustainability of non-profit organisations. 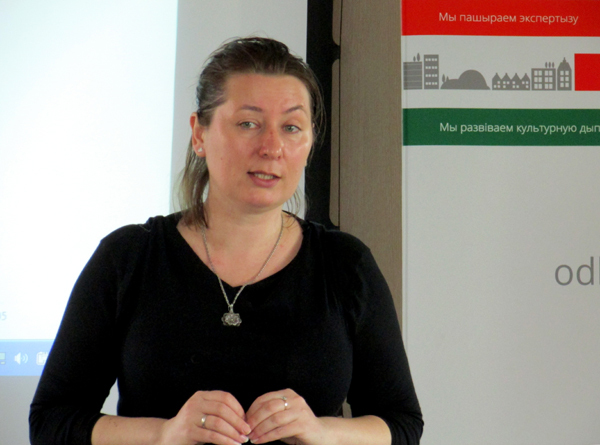 Social Entrepreneurship: How Can a Social Enterprise Be Created in Belarus?